I was in love with L'oreal products since very young age. Starting with hair care products and ending up with the make up. There was some disappointments, but you can't like everything, I suppose. 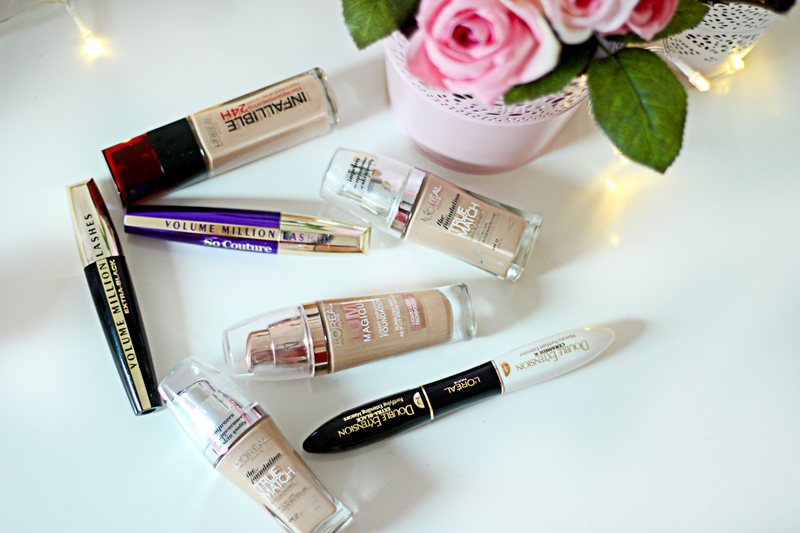 Today I want to talk about few makeup products from L'oreal. 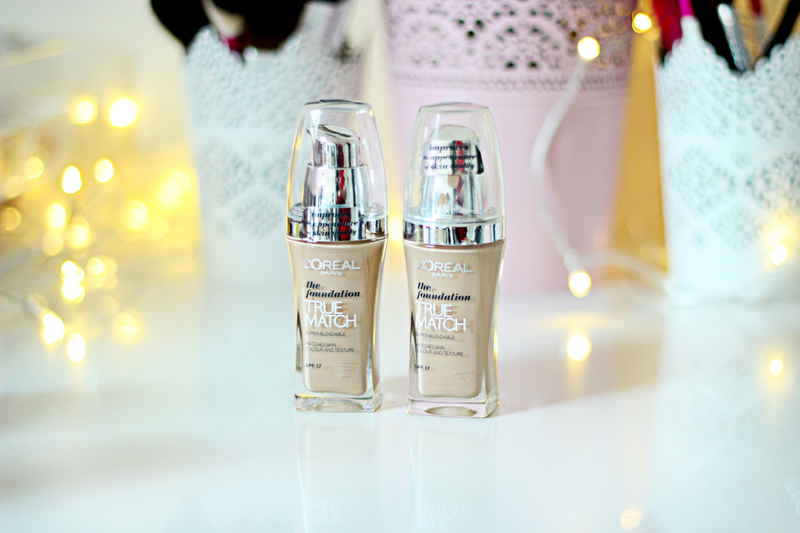 Foundation and mascara -two extremely important things in my everyday make up routine. I have tried numerous foundations, drugstores and high ends. trying to discover perfect match for my skin. And that's where L'oreal wins my heart. 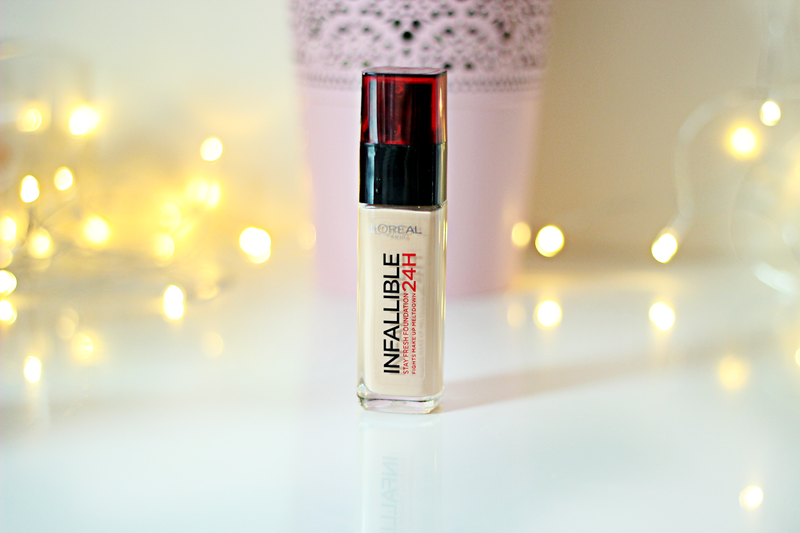 Infallible 24H Foundation - I have read many reviews about this and as with every single product you will find some good and few bad ones. Many people disappointed that foundation didn't last even 5 hours. I am not sure how they are wearing it, but mine lasts all day long! It's very light on your skin, gives a bit of matte look. What I am disappointed about is the coverage. It's not enough to satisfy my needs. It's perfect for summer as it doesn't make your skin look or feel 'heavy'. 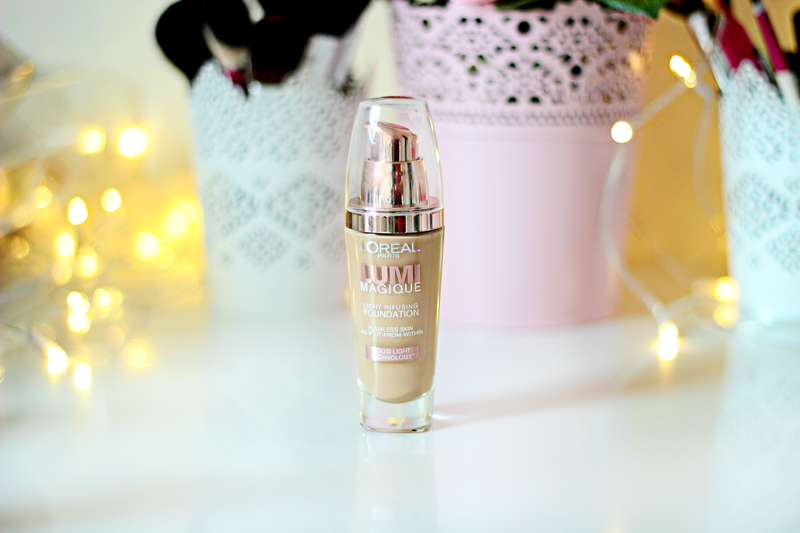 Lumi Magique Foundation - in my personal opinion this foundation is very similar to Infallible 24H Foundation, texture and coverage it's pretty much the same. It really gives you this beautiful summery glow, which is perfect for warmer seasons. Light to medium coverage, but is certainly buildable too. What I found with these two foundations, that the shade range, although is wide, it's a bit on orangy side. Other than that I love it. True Match Foundation - this is, literally, a Holy Grail! I am so so happy I have repurchased this. Few years ago I have tried it and it caused a MASSIVE break outs on my skin, deep and nasty spots everytime I used the foundation. But I don't know whats happened now, maybe texture and ingredients changed, but I would not change this miracle to anything else. It makes my skin look effortlessly flawless. The coverage it's amazing! Hides all imperfections and it lasts for ages! 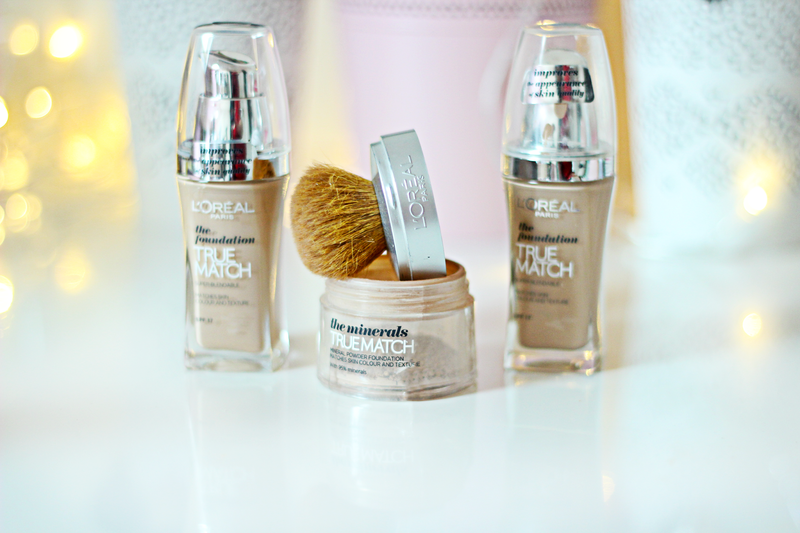 I am using True Match Minerals Foundation on top of that and it makes my skin look stunning! 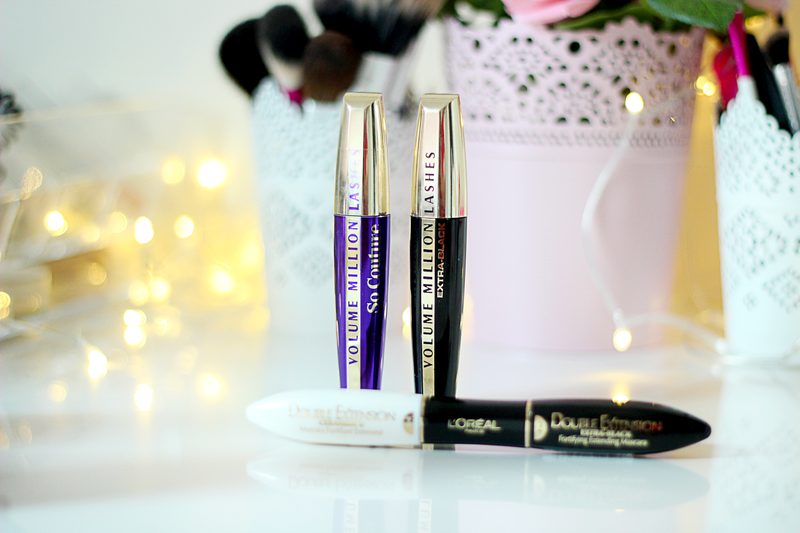 L'Oreal Paris Million Lashes So Couture mascara and L'Oreal Volume Million Lashes Extra Black - absolute favorites! Best mascaras ever! Like, seriously, all the Volume Million Lashes range is amazing. It creates perfect fake eyelashes look, without making them look too heavy. It creates super dramatic look and you can build it more if you like. It lasts all day without leaving flakes under your eyes. I am definitely the biggest fan of these! 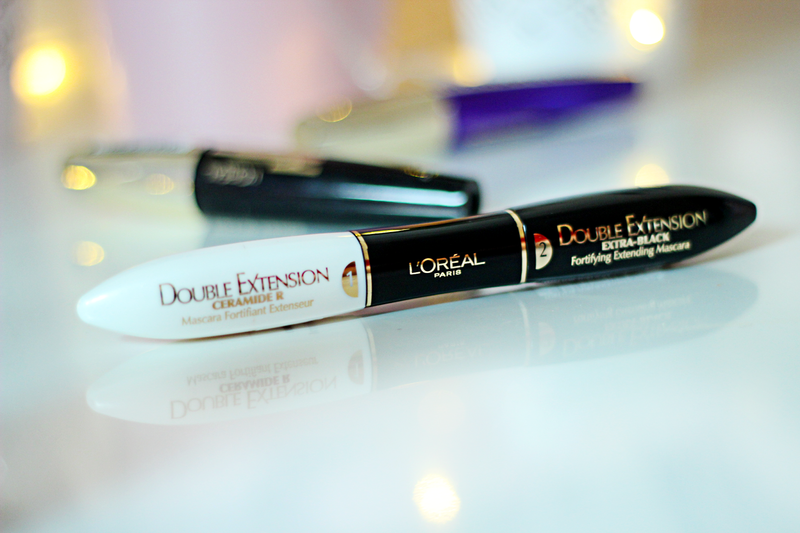 L'Oréal Paris Double Extension Mascara - This mascara makes your eyelashes look really long and if you apply it correctly, it separates lashes perfectly. It has two sides and two applications. The white bit acts as a primer and once applied carbon black it makes your eyes really stand out. Only down side is it takes longer to apply as you have to apply the white side before the black. this mascara makes my eyelashes really long and I am totally loving it! So if you are fan of L'oreal cosmetics like me, then rush yourself to your nearest Boots store, they have a deal 2 for £12 on any L'oreal cosmetic products. How awesome is that?! Let me know your favorite L'oreal make up product. And just to add that I was not sponsored for this post, no one asked me to post it, I just wanted to share my love for these great products. I love L'Oreal!! 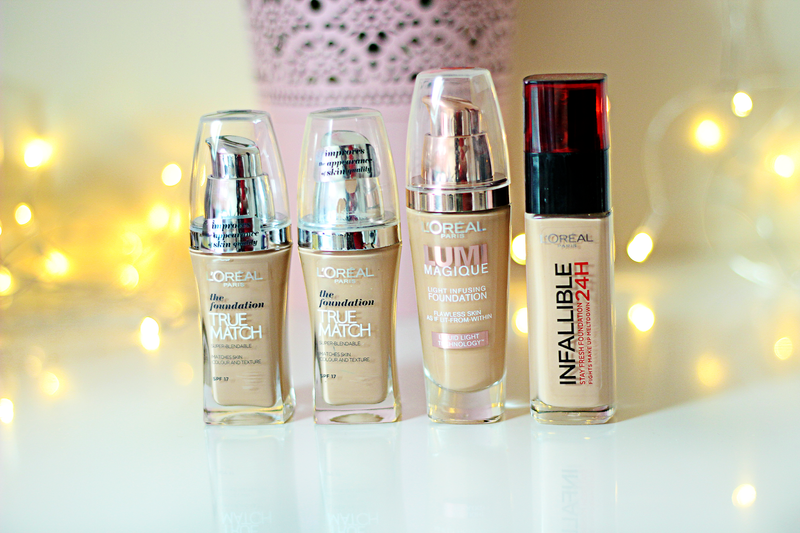 The Infallible foundation is amazing! I have also been a fan of L'Oreal since childhood! I loved their "fish" swim-shampoo! It always smelled the best, haha! Have you ever tried that? As I grew up I really fell in love with L'Oreal's lipstick formula, and today I'm still a huge lipstick by L'Oreal hoarder! Ha! I would really like to try their "Infallible" foundation. It appeals to me the most. i actually haven't tried much from l'oreal but i really want to try the mascara!